Firefighters, police officers, and other first responders from the New York metropolitan area who participated in rescue and recovery activities at Ground Zero in the wake of the 9/11 World Trade Center terrorist attacks may be eligible for compensation from the federal government if they developed cancer and other illnesses related to exposure to toxic dust at the site. The 9/11 Victims Compensation Fund was reopened in 2010, following passage of the federal Zadroga Act to provide compensation and medical care for first responders and others who were sickened as a result of toxic dust exposure. Alonso Krangle LLP, a leading law firm with offices in New York, provides assistance to Ground Zero first responders seeking to file Zadroga Act claims with the 9/11 Victims Compensation Fund. Certain other musculoskeletal disorders for WTC responders who received treatment for a WTC-related musculoskeletal disorder that meets certain criteria. 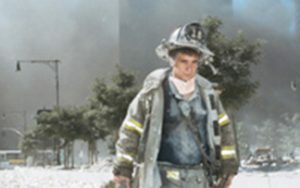 Alonso Krangle LLP is offering free legal evaluations to any sickened Ground Zero first responder who wishes to file a claim with the 9/11 Victims Compensation Fund. Please contact the Zadroga Act lawyers at Alonso Krangle LLP today to learn more about your rights under the Zadroga Act. In the years since the 9/11 terror attacks, its become apparent that toxins and fumes from the wreckage of the Twin Towers has caused many Ground Zero heroes to suffer from cancers, respiratory problems, and other serious illnesses and conditions. In many cases, sickened first responders have been unable to work, have lost health insurance, and were left with no way to cover their rising medical expenses. On January 2, 2011, President Obama signed the James Zadroga 9/11 Health and Compensation Act of 2010 into law. Among other things, the passage of the Zadroga Act reactived the 9/11 Victim Compensation Fund to any individual who took part in debris removal efforts at Ground Zero in the immediate aftermath of the terrorist attacks, or their survivors. If you were a first responder who worked at Ground Zero following the 9/11 terrorist attacks, and now suffer from health problems related to toxic dust exposure, you may be entitled to compensation or medical benefits from the 9/11 Victim Compensation Fund. Most Zadroga Act claimants have two years to file an Eligibility Form with the Victims Compensation Fund. An individual who knows (or reasonably should have known) of physical harm resulting from the 9/11 attacks by October 3, 2011 must file by October 3, 2013. Those who become ill after that date must file a claim within two years of the date that they learn of their illness or injury. The Zadroga Act lawyers at Alonso Krangle LLP are committed to ensuring that every first responder who became ill because of their heroic efforts at Ground Zero receives the maximum amount of compensation they deserve. If you would like assistance with your Zadroga Act claim, please fill out our online form, or call for your free, no obligation consultation.